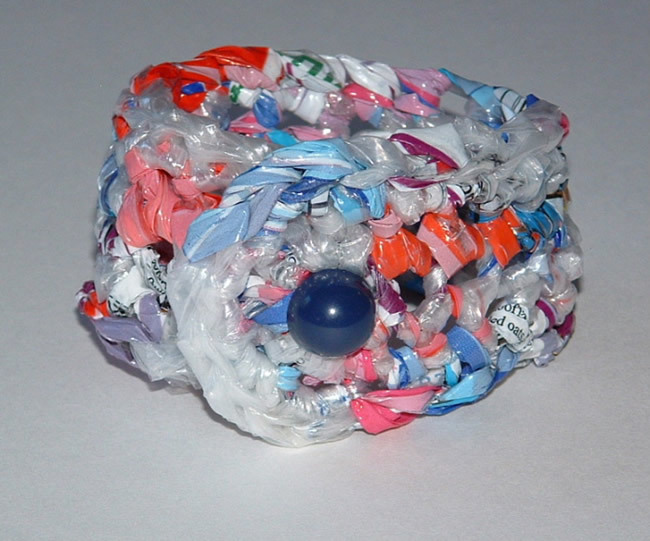 I’m excited to share with you all my recycled plastic bracelet that was crocheted from bread bags and plastic packaging material. I just love the colors and look of the bracelet. I added this blue button but then I found this cool pink glittery button and had to try it on the bracelet too. Which one do you like better? I really love them both! I also want to mention that I used one of those big plastic packages that toilet paper rolls come in to complete this project. 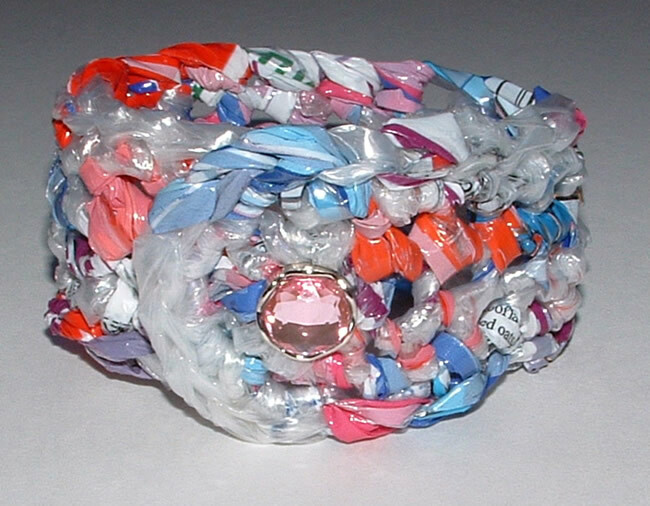 It had such pretty blue and pink colors and I was able to cut it into 1/2 inch wide strips and joined the ends just as I do here with my regular plarn (plastic bag yarn) making projects. 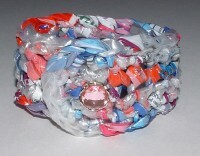 So roundup some plastic and upcycle yourself this fashion bracelet. I guarantee that yours will be one of a kind and be a definite eco fashion statement when you wear it. Enjoy!